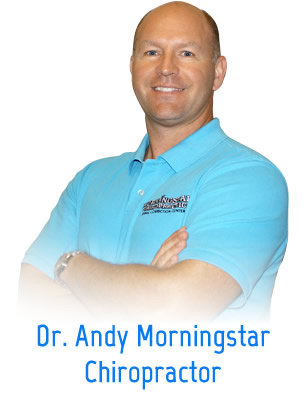 Dr. Andy Morningstar has been helping people get out of pain and transform their lives since 1998. He is committed to providing each of his patients with the most advanced natural healthcare technology available, including chiropractic care and painless laser therapy. Our Aspen Laser Therapy tool is a key component to pain relief without the side effects of drugs or surgery. It increases circulation, reduces inflammation and enhances tissue healing, which reduces pain and speeds healing. Experience The Power Of Laser Therapy For Just $21! Your new patient visit includes an initial consultation with Dr. Andy Morningstar, a comprehensive examination, two X-rays and your first laser therapy treatment. If you are suffering from chronic pain or injury, painless, non-invasive laser therapy can help get you out of pain and speed up your recovery. Contact us today!